We post all our paid vacancies on this page. Keep an eye on it for opportunities to be part of the team. We’re keen to encourage applications from a diverse range of people including the BAME and LGBT communities, all age groups and genders. Get in touch – we want to hear from you! We take data protection very seriously. Please see our privacy notice here for more information about how we protect your personal data when you apply to Centre 33. Having a criminal record will not necessarily bar you from working with us. This will depend on the nature of the offences and circumstances and background of any offences. If you have any questions about this or would like to see our ‘Equal Opportunities and Diversity Policy’ please contact us. We are excited to be opening a new young carers groups in Wisbech. The groups provide fun and respite for young carers and also give them an opportunity to get support for any issues that are current for them. 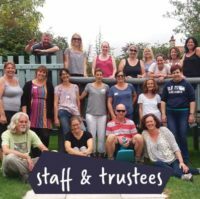 Your primary responsibility will be for the planning and delivery of the groups and to provide 1:1 support within groups, working alongside volunteers. Ability to create, run and generate enthusiasm in a supportive group atmosphere, for a range of activities will be essential in this post. 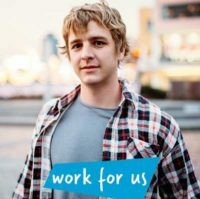 You will be a qualified supervisor with substantial experience of therapeutic work and supervising counselling, including work with young people. Ideally you will have your own supervision venue, but we may be able to negotiate access to rooms in some of our venues. You will be comfortable offering supervision to counsellors from a variety of therapeutic modalities who are providing short-term counselling. You will be willing to work closely with Centre 33 and to take part in counsellor appraisals, and to attend regular supervisors’ meetings. You will be part of a well-established mental health and counselling team, and will have access to induction, training opportunities and regular meetings and on-going support. You will be self employed. Sessional rates are currently £32 an hour. We have several opportunities to volunteer at Centre 33. Please look here for more detail.